As was widely suspected it might, despite intensify lobbying, which one senator depicted as virtual harassment, the government was unable to negotiate the passage of its higher education reform package through the Senate. The bill was defeated 33-31 on the second reading late 2 December, with four of the eight crossbenchers (senators Glenn Lazarus and Dio Wang from the Palmer United Party, former PUP Jacqui Lambie and independent Nick Xenophon) joining Labor and the Greens to vote it down. One of the real problems Pyne faces in getting this package through, even in substantially revised form, is the barge through tactics he’s adopted. After crossing his heart during the 2013 election campaign that no changes were proposed in higher education funding and fee arrangements, this radical package was simply announced in the 2014 Budget (the advice of the Abbott government’s own commission of audit was to hasten slowly on issues of higher education reform). And whatever Pyne says about the package having “widespread support” within the sector, it really only has the strong expressed support of Universities Australia, speaking on behalf of most of the the vice-chancellors (while the University of Canberra’s Stephen Parker has been a vocal public critic several other vice-chancellors have expressed some quite fundamental misgivings). It certainly lacks public support and stands out as just another broken promise: in an Essential poll released on the day of the vote, 56% said the Senate should not agree to the legislation while only 23% said it should. 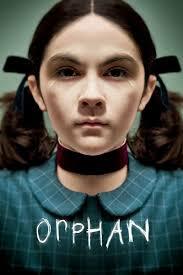 It’s very much an unloved orphan. Still, none of this obviates the need for reform. As Hannah Forsyth (Australian Catholic University) argues, the Pyne debacle has exposed other flaws in our higher education system. Pyne should go back to tors on higher education reform and do it properly. All the indications are that he won’t and he’ll keep trying to barge it through. Does this mean it’s ultimately doomed? Watch Nick Xenophone, who always said he wouldn’t vote for it this year but acknowledges the need for change. With some further tweaking on detail over the summer and some sort of deal on military pay and entitlements (say, the proposed backdown on leave entitlements and an inquiry of some kind) to assauge Jacqui Lambie, there’s every chance it will get through, in some form, next year – maybe with something like the reintroduction of caps on student enerolments to ameliorate the costs of compromises . The danger is that it will be such a dog’s breakfast, lacking consistency and coherence, within a couple of years we’ll be hearing from the government of the day that the higher education sector is “unsustainable” and the whole shebang will start all over again. Note the English experience: the Cameron government’s reforms of 2010 to place higher education funding on a “sustainable footing” will very soon end up costing the exchequer more than they saved and have been described by the UK Higher Education Commission as “unsustainable”.